Today we live in a world where aggressive bacteria and viruses are abound. Everywhere we go, every object we touch, every person we interact with increases the risk of contracting sickness. So scientists came up with antibiotics and antibacterial stuff that aggressively eliminate the threats to us and the lives of our loved ones. By killing these bacteria and viruses, we are safe. Well, its not completely true. Many people are beginning to think that it is otherwise. 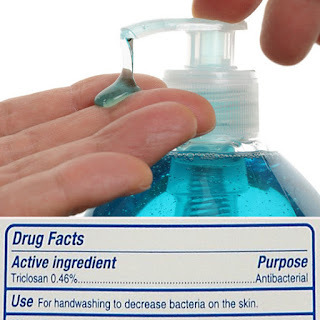 Most antibacterial stuff over-the-counter like hand sanitizers, bar or liquid hand "soaps," baby wipes and many others contain several active ingredients that may pose health risks in continued use. 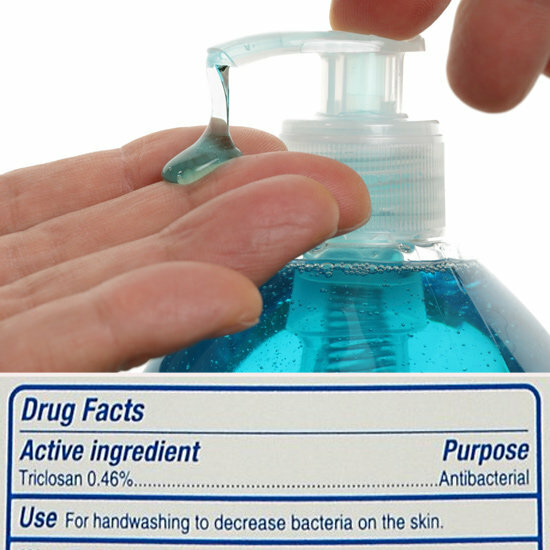 According to an article at the BabyCenter Blog entitled "Antibacterial soaps can double the risk of allergies in kids" which was written by a doctor, a well known antibacterial ingredient known as Triclosan, increases the risk of food and environmental allergies. Triclosan is the active ingredient found in most detergents, children's toys and sometimes toothpastes that claim anti-bac properties. This means that the more you expose your child to products containing Triclosan, the more susceptible they become to allergies. There were several studies done to confirm this. Aside from allergies, it has also been found out that it can affect hormonal regulation in animals and contribute in the resistance of bacteria to antibiotics. Bottomline, sometimes being extremely clean has its pitfalls, especially through chemical means. But hope is not lost. Most of us have just forgotten what people do in the past...they just wash their hands with plain old natural soaps. It is still the single, most effective way in dealing with a huge percentage of common childhood diseases. Natural soaps, whether bar or liquid are better because most niche soapmakers retain the purity of soaps and avoid harmful additives such as Triclosan or Parabens. One reason why natural soaps are good enough is because of their naturally high PH levels. Bacteria and viruses are very sensitive to PH changes, thus any fluctuation outside of their survival range is deadly to them. What more if the soapmaker adds known antibacterial agents of nature called essential oils? If plain natural soap don't seem enough for an obsessive-compulsive health buff, there are natural soaps that contain virus, fungi and bacteria fighting essential oils. Almost all essential oils are antibacterial, but there are a few that excel on these functions and they are Lavender, Cinnamon, Tea Tree Oil, Thyme, Peppermint, Clove, Lemon, Lime and Oregano essential oils. Add these to natural soaps, they'd be way ahead of those with chemical additives. Just be careful on using products with citrus essential oils as they are phototoxic, meaning exposure to the sun after using products can cause burns or irritations. Do you want chemicals irritating your baby's skin? Try going natural. There are Castile Soaps available here in the Philippines.